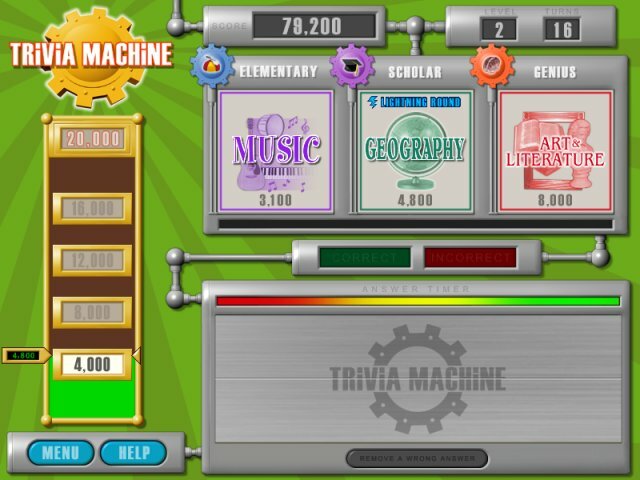 Climb to the top of the ladder by answering fun questions from the Trivia Machine! 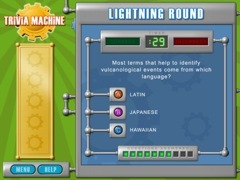 Answer thousands of trivia questions across nine fun categories. 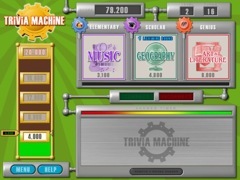 The unique game play involves strategy as well as trivia knowledge...it's challenging and entertaining! New questions are downloaded automatically so you may never see the same question twice.